Unaddressed termites can cause severe damage to your home or business, and are responsible for over 5 billion dollars of damage annually in the US. Foothill Sierra Pest Control can help you avoid this kind of catastrophe! We offer Inspections, Treatments and Repairs to address all of your wood destroying issues. Let us give you peace of mind that your home is safe from any wood destroying organisms. Inspections – Our qualified staff of state licensed inspectors will provide a thorough inspection of your home to identify wood-destroying organisms, including termites, wood-boring beetles and ants, wood destroying fungi, as well as other conditions that may lead to future problems in your home. We will provide the best recommendations to correct any issues that may be noted during the course of our inspection. 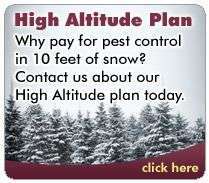 Treatments – Our staff of licensed pesticide applicators can treat for termites. We employ many methods, including pre-treatments, spraying, rodding, trenching, and sub-slab injection. In extreme cases of infestation we can also arrange for fumigation. Repairs – We have an excellent repair department to meet and exceed all of your repair needs related to wood-destroying organisms. Our crew will have your structure restored to a sound condition quickly and skillfully. Our inspections can offer reassurance that your home will continue to be free of wood-destroying pests for many years to come. Our inspections also satisfy pest inspection requirements for home sales and most other real estate transactions. Please contact our friendly staff to arrange for an inspection or click the link below to fill out our inspection request form online. If you are thinking about selling your home, consider getting a Wood-Destroying Organism Inspection BEFORE listing your home. Termite inspections can reveal substantial damages, and this could produce stress when time is critical. 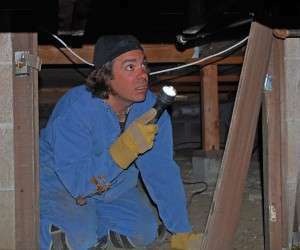 Reduce last minute surprises, and get your home inspected now.